Twenty-two services a week (and counting); 63 countries served; connections to 115 ports all over the world; 45 rail services a week; 2,000 trucks a day through the port gates. DP World London Gateway has seen exponential growth in the past year, and every indication is that there is far, far more to come. Opened for business for the first time in 2013, the container terminal is among the world’s fastest growing ports. In 2018, not only did volumes break through the 1 million teu barrier for the first time – they reached 1.3 million teu. In its first full year of operations, 2014, DP World London Gateway handled 271,000 teu. In 2015, 2016 and 2017, the totals were 469,000 teu, 708,000 teu and 954,000 teu respectively. While there is ample room for 2018’s 1.3 million teu, and for the expected increase in 2019, the obvious question being asked is when we can expect the next phase of expansion at the port. 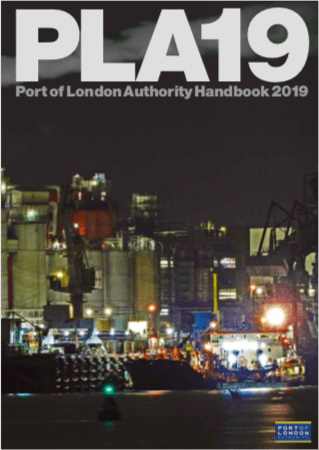 “We can build berths 4, 5 and 6 in line with demand; we have enough head room at the moment, but will monitor the situation and the levels of new business,” says Chris Lewis. maximum six berths along 2,700 metres of quay. That would take annual capacity to 3.5 million teu. The present rail terminal, with a completely dualled link to the national rail network, can handle up to 30 trains a day; there are plans for a second rail terminal to serve future berths. It’s hard to pinpoint DP World London Gateway’s USP (unique selling point) – because the answer would be more of a package. The port is perfectly located within easy reach of London and the South East; it has excellent road and rail connections; it was built on a brownfield site that allowed a pitch-perfect layout and choice of equipment, which ensure sustainable, reliable and efficient operations; and it is completely integrated with the DP World London Gateway Logistics Park, which offers fast-track planning processes and fantastic opportunities for integrated, portcentric supply chains. The logistics park features nearly one million square metres of warehousing and distribution space for retailers and logistics firms, and 2018 saw a number of high-profile names investing and becoming established there. In November 2018, Maersk Line announced that it would be moving its AE7 service from Felixstowe to DP World London Gateway. Part of the line’s Asia-Europe network, the service also caters for exports to the Middle East and Far East. This important service followed DP World London Gateway securing several other new services in 2018. These included Aegean’s North West Europe-Eastern Med service, the EPIC1/IPAK service linking Europe, the Red Sea and the Indian Subcontinent, and the Levante Express to the Eastern Med. In the shake up of container line alliances at the start of 2017, DP World London Gateway and its sister port DP World Southampton were confirmed as the UK ports of choice for THE Alliance. As a result, London Gateway regularly handles some of the world’s largest container ships, on East-West trades, as well as transatlantic services run by THE Alliance. Tracking, tracing, transparency: cargo owners, hauliers and agents want to know one thing – where’s my container? DP World has introduced a new program that answers just that question. “A port community system gives the basic messages so that you can establish when your container is landed and Customs-cleared and when it has gone out of the gate,” says Chris Lewis. Above all, cargo owners want reliability, he points out. There has been a huge amount of investment in future-proofing at DP World London Gateway, and the semi-automated set-up ensures that operations can continue in all but the most extreme weather conditions. With no personnel driving in the stacks, there is remarkable weather tolerance: the port has only closed for wind for a total of nine hours since 2015.
operations – and that will be activated when productivity and costs balance out. developers is that the logistics park has an LDO (Local Development Order) in place, which allows for fast-tracked planning permission. “The LDO means planning takes just 28 days – the new UPS packaging hub gained planning permission in just 17 days,” says Chris Lewis. now handling the majority of southern hemisphere reefer containers coming into the UK. n Construction of a new multi-temperature warehouse for CMA CGM started in October. The 107,155 square foot cold store facility is due to start operations in mid-2019. CMA CGM has taken a long-term lease on the build-to-suit development, which will feature best-in-class technology, IT traceability and management systems. As well as chilled and frozen chambers, the store will enable CMA CGM to provide product quality control, packing, sorting, labelling, palletisation and bagging, as well as Customs clearance, transfer from the quay to the warehouse, and final delivery. n In September 2018, a truck park operated by fleet vehicle management company Hireco opened next to the port’s main gate. This is a five-acre yard offering short and long-term parking for up to 170 trucks and providing services such as a restaurant, showers and toilets, wifi, vending machines, and AdBlue facilities. The facility features CCTV and ANPR for security and efficiency. n Solent Stevedores opened an empty container yard at the logistics park in May 2018.
n UPS opened its 32,000 square metre packaging, sorting and delivery facility in May. UPS invested £120 million in this European hub, which has four miles of conveyor belt and handles up to 28,000 packages an hour. n In 2019, DP World will build a 231,000 square foot warehousing facility – this is a speculative build, to meet growing demand from 3PLs and others. electric, with the rest running on diesel. The fully electric carrier, being trialled as a pilot by Kalmar, charges in just six minutes. single-use plastic, to working with the PLA on in-river litter collectors, DP World has a strong commitment to sustainability. This also includes regular visits to schools to inspire the next generation to consider a career in the ports and maritime sector – and ensure they are fully aware of the skills they need – and working with the Prince’s Trust to reduce unemployment amongst young people not in education. between 2016 and 2017. On the logistics site, meanwhile, Halo Handling, the new temperature-controlled warehouse built for SH Pratt Group, was the latest development to receive the Planet Mark accreditation – in November, it was confirmed a 16% reduction in carbon emissions was achieved during the build. A further ‘green’ accolade came with the news that the port’s sustainability manager, Emma Cowper, was named Sustainability Influencer of the Year at the inaugural Planet Mark Awards in October 2018.